Although the team season ended two weeks ago for Northwestern, seniors Veronica Corning and Belinda Niu and sophomore Alicia Barnett will play on, competing this week at the NCAA singles and doubles championships in Athens, Georgia. The NCAA honored Niu on Tuesday with the Intercollegiate Tennis Association/Arthur Ashe Jr. Award for her efforts both on and off the court. The award recognizes one player in each division for his or her tennis accomplishments, scholastic achievements and extracurricular endeavors. 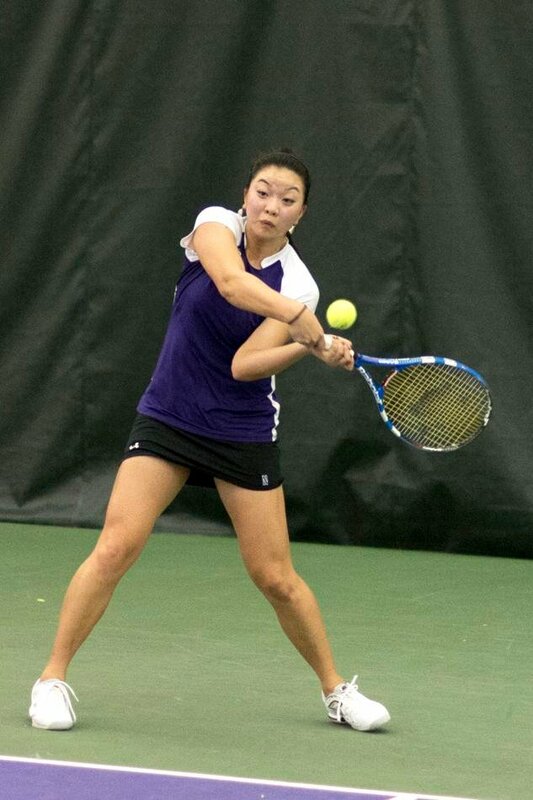 Niu’s play also earned her the opportunity to represent the Wildcats alongside Corning in the singles championships. NU’s top duo of Corning and Barnett, a Daily staffer, was selected to compete in the doubles championships. The festivities begin Wednesday with the singles tournament. With the bracket recently announced, Niu will be taking on the Bulldogs’ Silvia Garcia. Garcia racked up 35 wins on the season to only seven losses. Primarily playing at number two singles for Georgia, Garcia has the second-winningest record on the team. The Cats did not face the Bulldogs this year, so this will be the first matchup between Niu and Garcia. Corning and Barnett will begin their quest on Thursday with their first match against Kentucky’s Caitlin McGraw and CeCe Witten. The other Wildcats held fast at the team’s number one doubles spot and amassed a nine-match win streak before falling to Texas A&M’s Stefania Hristov and Cristina Stancu. “I’ve been hitting with Nida (Hamilton) … practicing my return, and there’s a couple things I would like to polish up before we go: returns, volleys, making good decisions and playing smart,” Barnett said Thursday. “Veronica and I play the best when we don’t know who we’re playing, what ranking they are. We just go out and play like hell,” she added, before the pairing was announced. Coach Claire Pollard won an NCAA doubles championship of her own when she played at Mississippi State, alongside assistant coach Jackie Holden. To prepare her players for the fierce competition, Pollard has been having them practice outdoors and has offered her own experience while hoping for the best for the seniors.